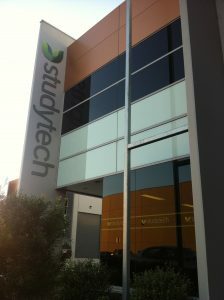 Who and what is Studytech? Studytech is a company focussed on unlocking the power of technology for your organisation. We can design and build your IT infrastructure, manage your fleet of mobile devices, and skill up your team to get the most out of the technology at their disposal. We have significant experience integrating a range of diverse technologies to produce a solution that’s tailored to your specific needs. Time and again we find that our strength is not just in the skills we already possess, but in our ability to find and implement a solution to the next challenge. We’ve built innovative solutions in Windows, Mac OS, Linux and iOS environments, in markets as diverse as graphic design, education and healthcare, simply because the customer presented us with the challenge. Our strength is not just in the skills we already possess, but in our ability to find and implement a solution to the next challenge.